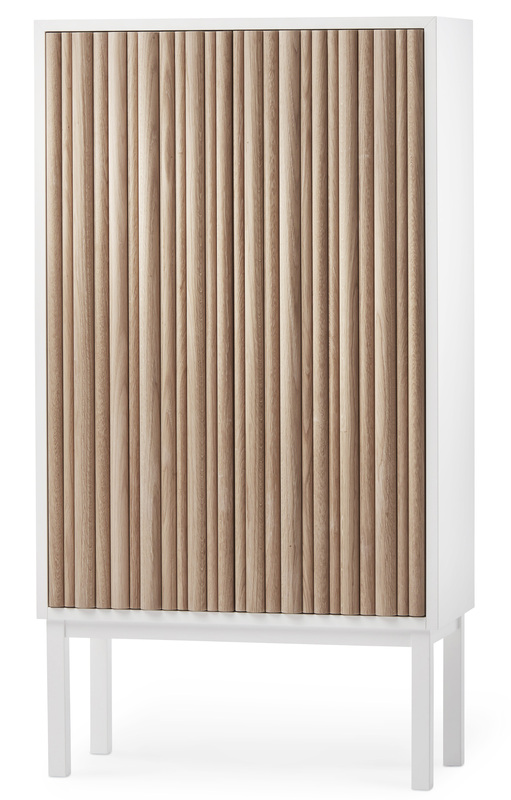 The Collect 2013 wood cabinet draws its originality from its doors made of round wood rods, of different diameters, in white oiled oak. This juxtaposition brings to the cabinet a 3-dimensional effect, a nice depth, and a soft and warm character. The cabinet has two movable shelves. It will find its place in an entrance, a living room or a bedroom The doors are opened by a push mechanism.